If you missed #13 click here. Best Moment: Oh man, it's hard to choose! Probably really early on when you get trapped trying to find Cheryl down a dark alleyway and you become trapped... I'll say no more! Oh man, the first Silent Hill game was amazing. 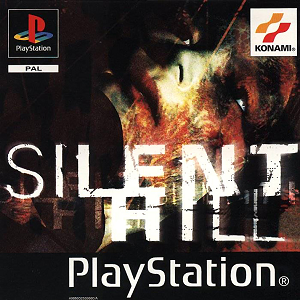 I remember when it first came out people were really excited, because it was the first time another major PS1 game came out that was here to rival Resident Evil with providing a surival horror experience. But, let's get this straight - for good or for bad, Silent Hill is not Resident Evil. They're two very different horror game series. 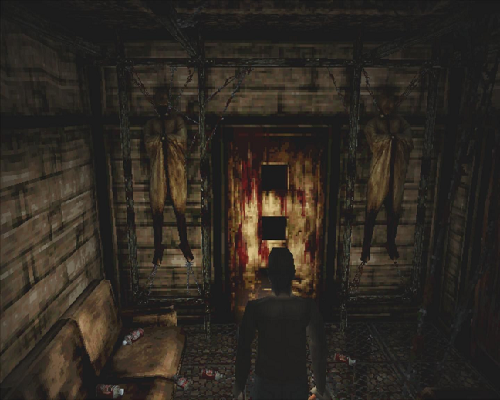 Silent Hill, when it's in its prime, is a far more scary game. It's darker, it's deeper, it can make you feel truly uncomfortable. There's some really messed up stuff in the Silent Hill games. Resident Evil on the other hand feels like a Hollywood movie and the scares are more often graphic monsters or jump scares. Anyway, digressing. Silent Hill 1 was at the time really special. I got really stuck on it quite early on actually when I first played it when I was around 11 or 12, far too young to be playing a game like this. I got to the school and couldn't figure out how to get the medal out of the rubber hand on one of the desks, which was needed to progress with one of the puzzles. So I left the game and eventually forgot about it for many years, before returning to it in my late teens. But even then, and certainly now, I have so much appreciation for this game. The fact that the graphics are quite grainy actually helps in its appeal now which is funny. Silent Hill is simply a horror game that you really need to play if you're a fan of this genre, it's brilliant. What game narrowly misses out on the Top 10? Find out what came in at #11 here!